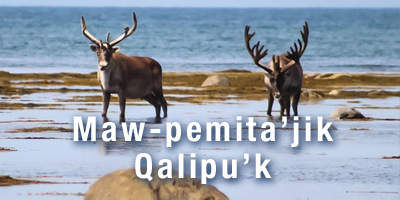 Welcome to the latest edition of Maw-pemita’jik Qalipu’k, our Indigenous community newsletter. On Page 7, find important details on our upcoming election which will take place this fall. We’ve included information on the Amendment Vote that will be held at the same time as the general election. If membership votes ‘yes’ to accept the proposed changes, we will see positive changes to the way we deliver elections, including increased voter participation and accessibility, accurate and timely results, and a substantial cost savings that can be put back into our communities. Please take a few minutes to read the Question and Answers which summarize what this Amendment Vote is all about. Along with this information, we’ve also provided a link to apply for a mail-in ballot, and a reminder how to update your address if you’ve moved. Have you ever heard a community in Newfoundland being called by it’s Mi’kmaq name? In the past, places were often named to describe landscape features, to aid in navigation, and to locate specific resources like, Pilmuipke’katik (where mint grows along the brook). We’re pleased to share with you a new interactive map that includes more than 80 place names along with Mi’kmaq translations and details on their meanings. We hope to make this map project even more interactive by adding photos, videos and audio. Maybe you have something special to add and we hope you will. Find a link to this map, and an invitation to participate in this project on page 3. On Page 8 find a summary of some of Experience Qalipu’s summer events, and on Page 9 get important updates from the Health division including a notice of rate increase, and information on how to sign up for Electronic Funds Transfer. On Page 10 and 11 we share submissions from the Exploit’s Mawio’mi and The Bay St. George Mi’kmaq Powwow.